This is an interesting film that makes you think. I liked it. A lot. Sci-Fi on a grand scale set in a futuristic Japan (that looks a lot like Hong Kong) with a manga-type wash - it's based on a manga of the same name. On one level the script is standard 'what can AI give us and what are the risks?'. It explores the cyborg with human brain scenario - but in an original and thought provoking way. It also pays homage to many films/books including - The Matrix, Lucy, Bladerunner, Kill Bill, Ex Machina, Howey's Wool trilogy with its Silos - or where some of these influenced by the 1995 original manga film? This film is visually stunning with great CGI and a pounding soundtrack that fits right in. 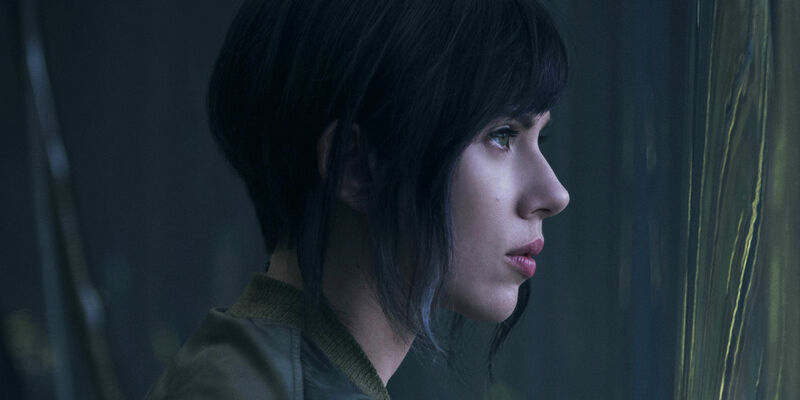 The central character is the cyborg with a human brain - Major (Scarlett Johansson) who through a search for her memories struggles to establish a sense of self-identity. Within the struggle is the over-arching existential question "what makes us human?" The film uses terms like soul, ghost and spirit with freedom. When the film is set in, and most of the characters are, Eastern Oriental, the fact that the lead character is a voluptuous New Yorker has caused plenty of comment. Johansson however is not there simply to provide eye-candy, she handles the angst of her quest well and allows her character to make some unexpected decisions when easier options are available. Set in the near future when most people have some kind of sensory or muscular augmentation, Major is a shell with a human brain - a sentient weapon which is deployed to counter terrorism. Things become messy between the unit that she works for and the company that created her. The scientist leading the programme - Dr Ouelet (Juliette Binoche) - discovers she has divided loyalty when Major learns more of her origins and presses for information. On one level this film shows a high tech future where product placement is still a blight on the visual experience. It also shows that humanity can be as depraved as ever and that greed and the search for power remain as attractive as they always have been. There is a strong moral thread - or several - running through this film and it is good to see the questions being dealt with in an adult way. The central question being answered in the final dialogue. Perhaps the greatest violence is what is done to the body and brain of Major? The violence aside (if it is ever possible to put violence aside), this film is worth the watch because of the way in which it explores questions of human identity and being. The visuals and cyborg concepts are also worth seeing. As I said, I like this film, I'm sure a different Director would have handled it with a different emphasis or character development and pushed the questions deeper, but I'm still going to award it 8/10.